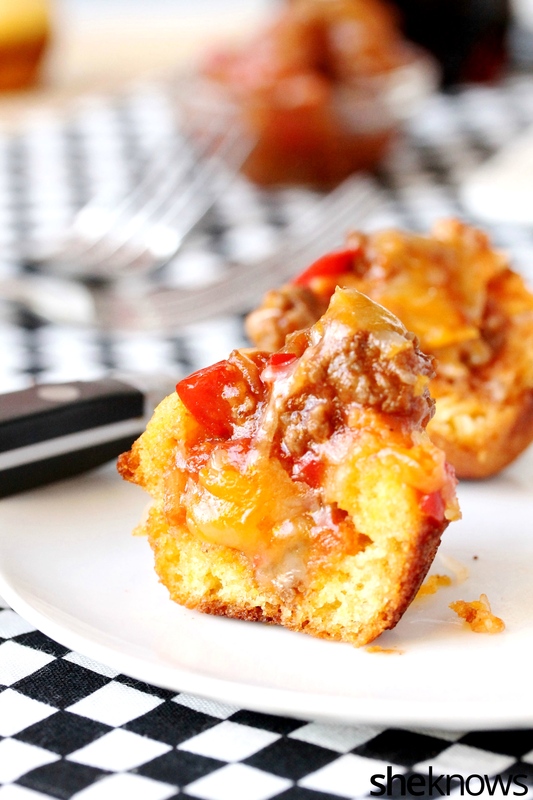 The insides of these corn muffins are so full of sloppy Joes that it’s bursting out the top and ready for you to take a big bite. 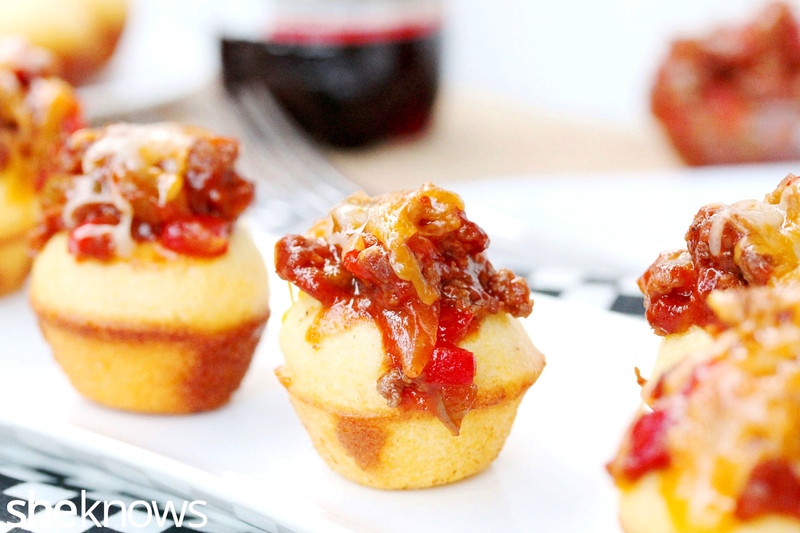 We’re talking sloppy Joes on the inside and outside of these delicious little corn muffins. And you know the best way to eat these little gems? In one great, big bite. No messing around with little, petite bites with these yummies. And how cute they are for little kids. These mini muffins filled to the brim are the perfect size for little kid hands. They make a great appetizer that can be prepared ahead of time too. 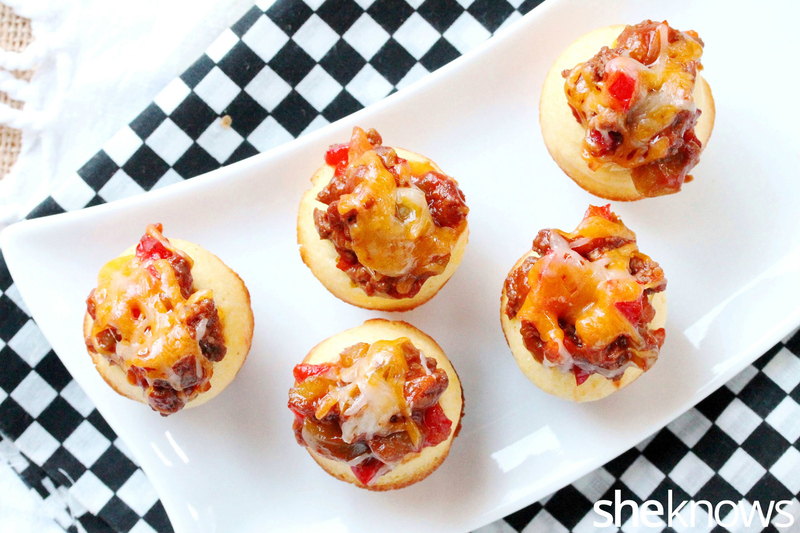 All you have to do is fill each corn muffin with the sloppy Joes, top with cheese and, just before serving, pop them into the oven to warm them up and melt the cheese. Such a colorful appetizer that adds to the festivities of a get-together. Or just serve them up with your favorite salad, and you have yourself a wonderful dinner. 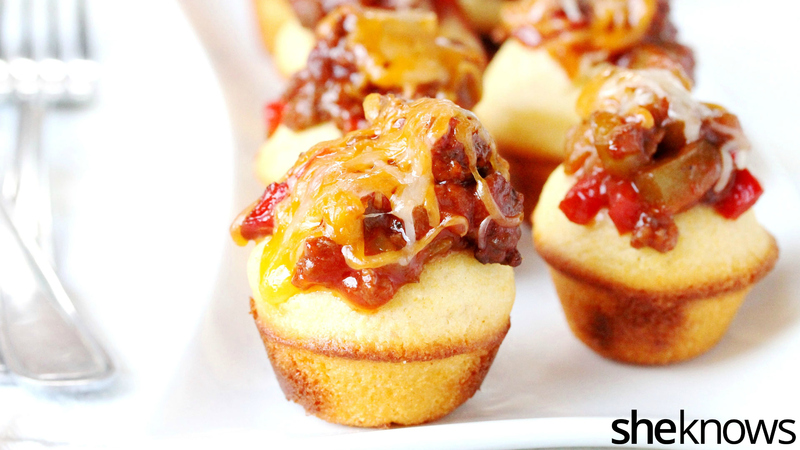 Mini corn muffins stuffed to the brim with sloppy Joe filling and topped with melted cheese make a festive and delicious appetizer that can be made ahead of time. Just warm in the oven right before serving. Grease the muffin tins with softened butter, and set them aside. To a large bowl, add all the ingredients, and whisk together. Fill the muffin tins about 1/8 inch from the top. Bake for about 15 minutes or until the muffins are done. Remove the muffins from the baking tin, and place them on a rack to cool. Into the top of each muffin, cut a hole as deep as possible without cutting through to the bottom of the muffin. Set aside. Heat a large skillet on medium heat, and add the ground beef. Stir as the ground beef browns. Once cooked, transfer the ground beef from the skillet to a plate with a paper towel to drain off any excess grease. Set aside. Heat the same skillet on medium heat, and add the olive oil. Add the green and red bell peppers and the onions. Stir as the veggies cook for about 5 minutes. Add the ground beef back to the skillet with the veggies. Add the ketchup, Sriracha sauce, salt, pepper and water to the pan. Stir as it cooks. Let cook while stirring until the mixture thickens (about 10 minutes). Serve inside the mini corn muffins. 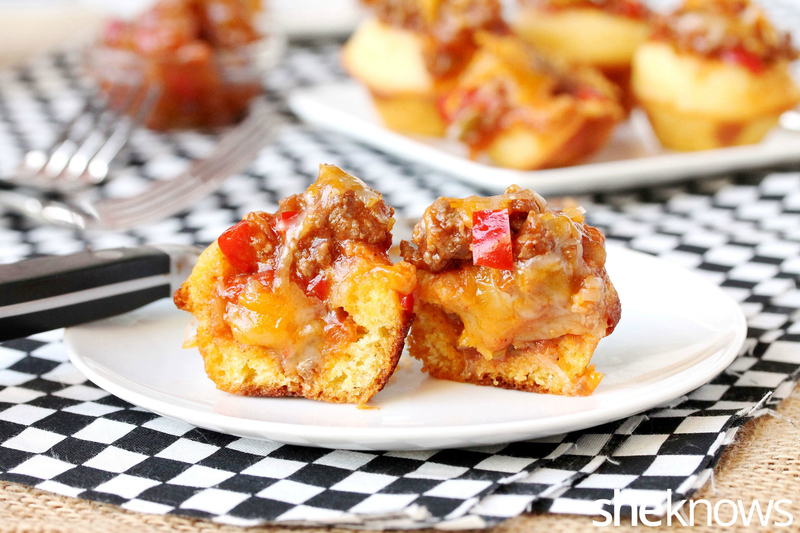 There may be some extra sloppy Joe mixture left after filling the corn muffins. Top with cheese, and bake in the oven until the cheese melts.